What we eat makes us who we are! This technology era brings opportunities for personal and professional growth closer to us than ever. The rising impact of technology in our daily lives is indisputable. From our mobile phones which are not just means of communication any more, but rather our personal assistants, to online peer-learning or crowd funding, a lot of ideas which 15 years ago seemed like science fiction, are now a daily presence. Still, technology’s impact on certain topics, like nutrition, is less visible. Nutrition is very important in our lives, because what we eat, quite literally, makes us who we are. Our energy levels, the shape and weight of our body, illnesses and conditions which our diet exposes us to – all these elements influence who we are! Presently, the World Health Organization, alongside other specialized organizations, study possible connections between certain ingredients (like, sugar, lactose, poultry, etc.) and diseases (like, diabetes, cancer, cardiovascular diseases, obesity, etc.) aiming to help us improve prevention through our diet. Firstly, take control over your personal diet! From “I eat whatever I am served”, to “I’m too busy to pay attention to what I eat” – all these are just excuses that can generate dangerous habits. To lose control of what, how much and when to eat is as dangerous as not being in control of your sleeping hours. Sleep deprivation has obvious effects. Just because effects of an unhealthy diet take more time to appear, doesn’t mean that they don’t exist or, even worse, that we should ignore them. Water means water – each time we drink a glass of fizzy drinks, we get the equivalent of a glass of water with a few teaspoons of either sugar or other type of sweetener, which can generate adverse reactions in our bodies, ensuring an inferior hydration of our organism, at the same time. Being sufficiently hydrated every day brings varied benefits: improved nutrient circulation through our organism, regulated body temperature, replacing fluids after exercising, draining toxins from our body (reducing acne and unclogging pores is also facilitated by drinking a lot of water everyday), increasing ability to focus, protecting your cartilages and many other benefits. Technology has brought us the opportunity of using mobile apps that “take care” of our daily water intake. All we need, is to use them! Take your personal characteristics into account when defining a nutritional plan. Progress has facilitated the creation of more companies which offer solutions for defining a personalized diet, based on each individual’s own characteristics. For example, DNAFit uses your DNA profile to offer suggestions for highly personalized diet plans, based on your organism’s preferences to process specific ingredients. They also make recommendations regarding what exercise routine to take up for maximum results. Professional athletes alongside people from other, more stagnant professions, have found this to be very useful. Another company, named Viome, analyzes gut flora and makes recommendations of nutritional programs according to strengths of your digestive system. The most important aspect to remember is that there are an increasing number of cases in which technology can help us achieve a healthy diet, personalized to our own organisms and goals. 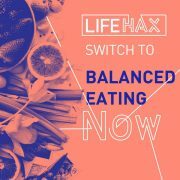 A healthy diet is always based on balance! A globally accepted recommendation is that, should you do nothing else to have healthy eating patterns, then at least make sure to have a balanced intake of carbs and fats. Also, plan your meals so that they are consumed with at least 3 hours before going to sleep, in order to allow for digestion before falling asleep. Unhealthy eating patterns affect us more than we care to acknowledge. Beside problems with obesity or lack of energy, what, how much and when we eat influences our mood at any time, our long-term health, our ability to be productive, creative or even to socialize. 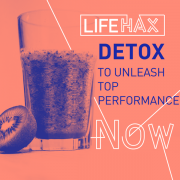 LifeHax #1 is a conference dedicated to people who want to take control over their daily actions, aiming to develop themselves, both physically and psychologically. Nutrition specialists will present us the newest tendencies from healthy eating. Join us and discover what steps you can take towards a healthy diet, which helps you be happier and live longer! Read more about life hacking on our blog. What is life hacking all about? https://lifehax.life/wp-content/uploads/2017/10/postare_4.jpg 1501 1500 victor https://lifehax.life/wp-content/uploads/2017/10/logo-alb.png victor2017-10-29 13:29:412018-01-30 16:22:48What we eat makes us who we are! © Copyright - Life Hax 2017 - All rights reserved. Created by CeriSEO.